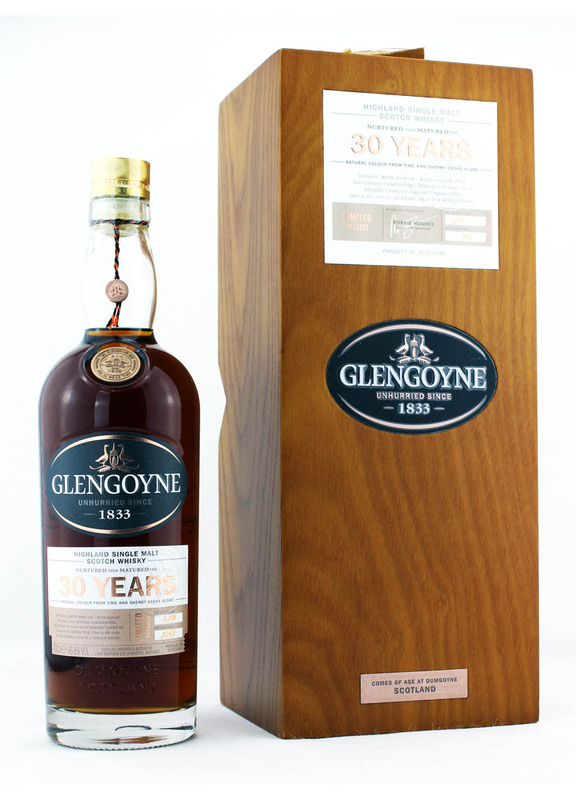 Glengoyne nurtured then matured for 30 Years. Limited release 2018 of 5,200 bottles. Natural colour from time and sherry casks. Plum compote, cinnamon and cloves. Appearance: Deep amber. Nose: Black cherry, sherry trifle, marmalade, tea rose, rum and raisin chocolate. 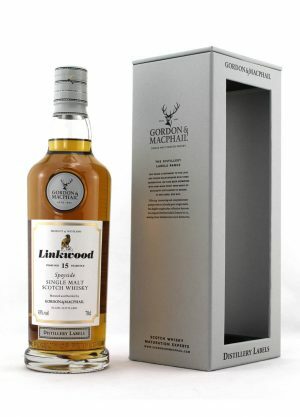 Taste: Burst of sweetness changing quickly to plum compote, cinnamon, cloves and tangy marmalade. 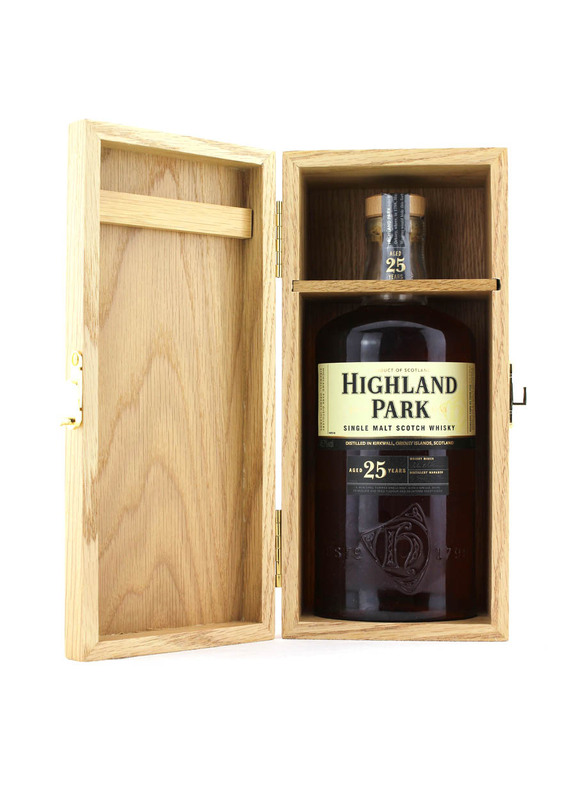 Finish: Soft oak dryness and cinnamon-notes from the distillery. Back in 1820 George Connell secretely and illegally began distilling, avoiding the Exciseman, at Burnfoot Farm, which today is Glengoyne distillery. 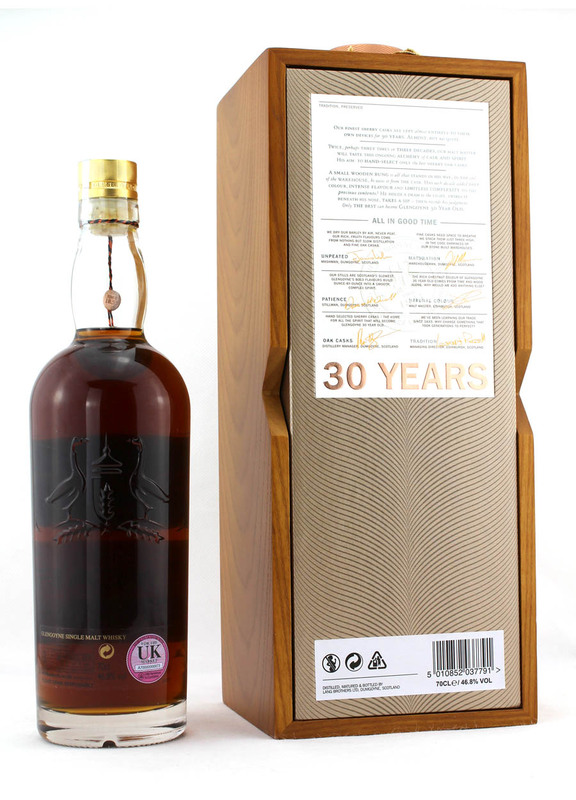 In 1833 he dicided to work within the law and acquire a licence to distill at Glenguin of Burnfoot. It was in 1907 when the name changed to the Glengoyne distillery by the distillery manager, William McGeachie who retired in 1927 and his son David took over as the distillery manager. In 1966 the distillery was re-built to its present form to cope with demand and in 1977 David McNicol joined the distillery as Head Stillman.